A “Media-President Meeting” organised by the Turkish Cypriot Journalists Association (KTGB) will be held at 6 pm today. President Mustafa Akıncı will give detailed information about the latest developments regarding the Cyprus problem and respond to questions from the media ahead of the Geneva Summit. President of the Turkish Cypriot Journalists Association (KTGB) Sami Özuslu expressed his belief that the “Media-President Meeting” will help to inform the public about the Cyprus problem in greater detail. Noting that there has been constant information pollution regarding the Cyprus negotiation process, Özuslu called for all members of the media to participate in this important meeting. Pictures shown are courtesy of the TRNC Public Information Office Facebook page. 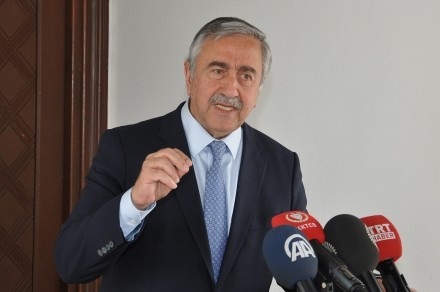 This entry was posted in News and tagged 5-party Conference Geneva, Cyprus negotiations, Mustafa Akıncı, North Cyprus, TRNC, Turkish Cypriot Journalists Association (KTGB). Bookmark the permalink.